Here are a few pictures of the forge and some design details. Doubleclick on the thumbnails to view a fullsize version. I´ve made the images as small as possible without loosing too much in quality, average size is 40-80kB. Use the Back button to return here. Originally, the forge was an old garden shelter that was filled with all kinds of junk, more or less. A couple of years back I felt inspired enough to get rid of the rubbish and rebuild it to become a rather cosy little house. 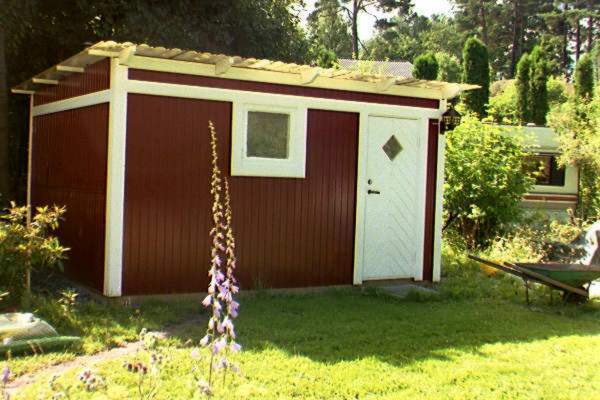 It´s small, around 140 sq.feet, and I´ve used recycled materials to a considerable extent - walls, insulation, window, floor material etc. 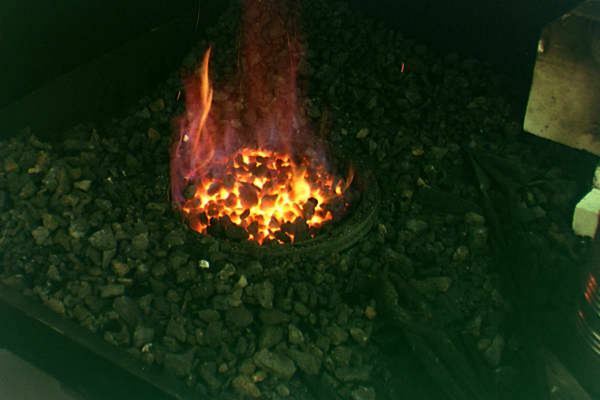 The firepot is made of a brake drum which withstands heat very well due to the fact that it´s made of cast iron. Then there is a small fan, a few inches of exhaust pipes and some sheet metal involved. 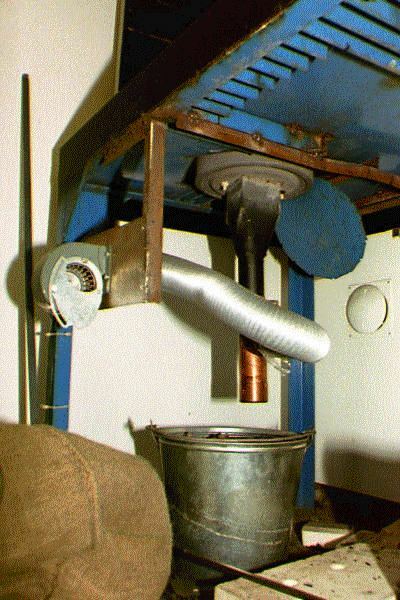 The ventilation fan is an all-metal, heavy duty fan that was destined for the scrap heap. The same goes for the old welding table that constitutes the base of the forge. All in all, this project did not require that much money, but some salvaging, welding and perseverance. 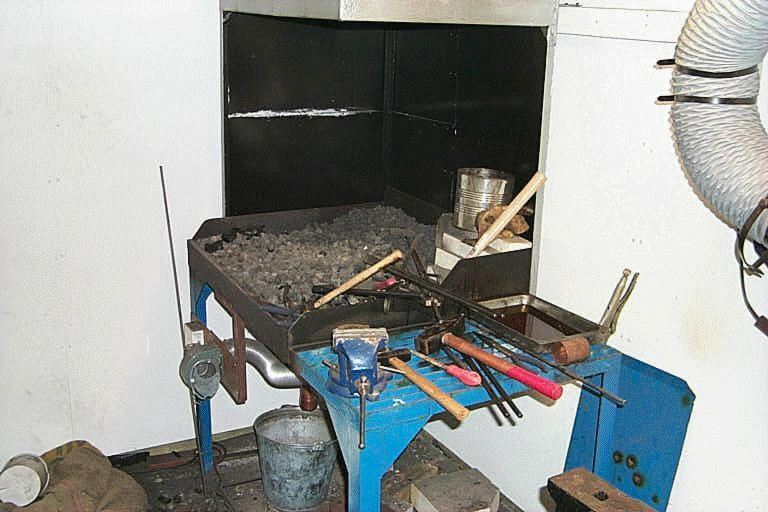 This is the way my forge looks today. Next project is to insulate the roof, since winters get really cold here. The window is from the twenties originally, but the wood is still in mint condition. 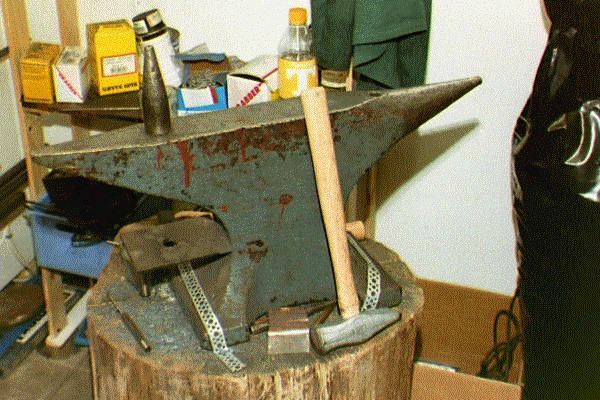 My anvil, made in Kohlswa maybe 60-70 years ago but in surprisingly good condition. 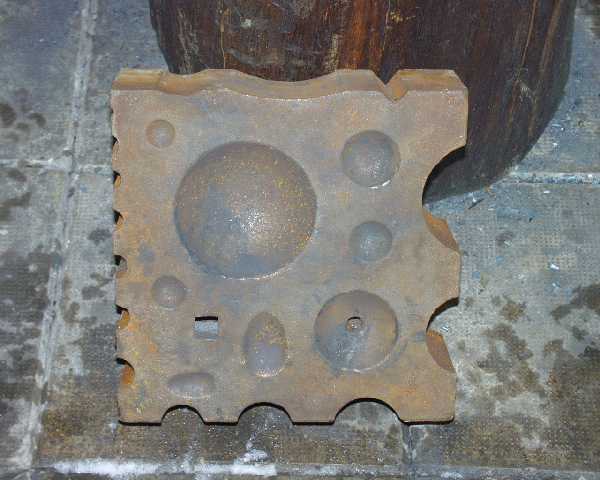 I´m not a lucky guy in lotteries, but a good friend of mine was able to save this anvil from ending up in a dumpster. That felt like a real win to me! 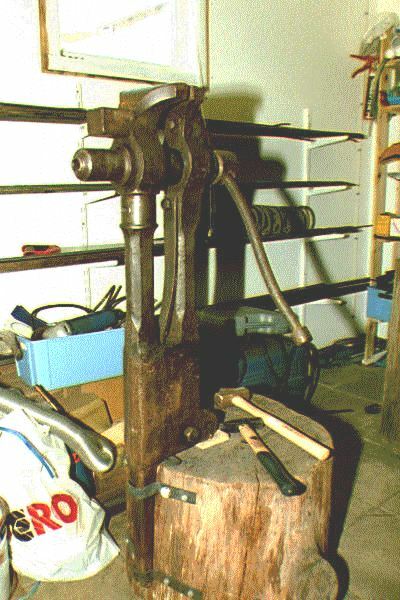 A post vise is something you really can´t be without once you´ve started to use it. This particular vise is marked Söderfors 1931, and I found it behind a barn out in the countryside. Renovating it was a cumbersome task, but it was worth it. It weighs approximately 120 lbs. 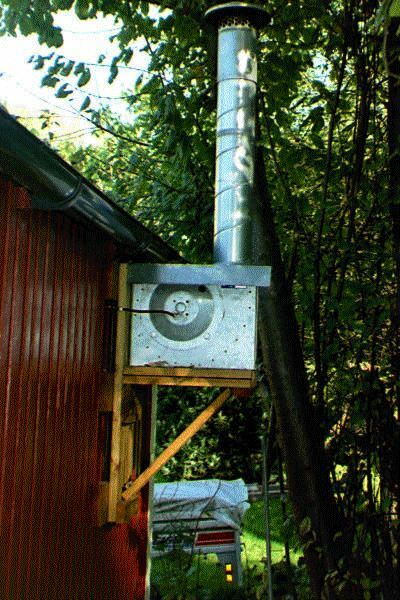 The evacuation fan with chimney. Since the air is really hot, I´ve designed a cassette with heat resistant insulation to get the pipe through the wall without creating a fire hazard. Well, this is how it looks when the fire is up and running. Looks inspiring to me! This is my swedge block. Got it from Centaur Forge in the US.